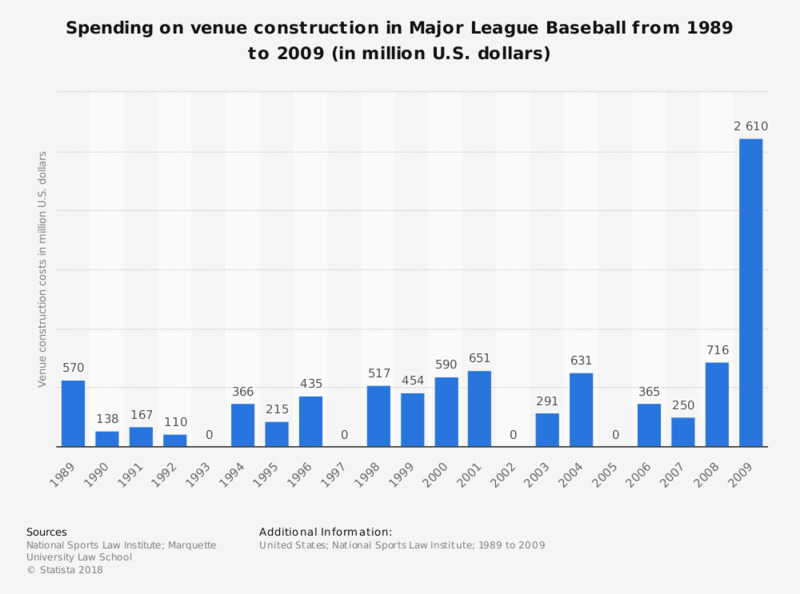 This graph depicts the total amount spent each year on construction of venues in Major League Baseball in the U.S. In 1992, 110 million U.S. dollars were spent on venue construction. Do you watch or follow professional baseball a great deal, a good amount, a little, or not at all?